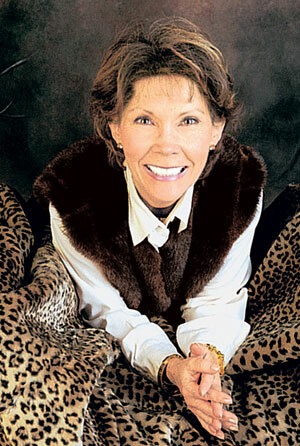 Donna Salyer’s started a faux fur company, Fabulous Furs, after she listened to a radio broadcast announcement after kittens being skinned alive for fur. She immediately knew that she had to make a change and so she combined her new education of this issue with fashion. She started making faux fur in her basement and shortly after that became internationally successful with her luxurious alternative furs. I want to interview her and ask her if she would be willing to take on this project with me. (The project is to encourage people to write letters to Wintour and to sign the petition on change.org). I also would love to work with her to encourage high end fashion designers to switch from using real fur to faux fur. I think she would make an excellent businesses partner and she already knows so much about the fashion industry and is so compassionate about not using real fur. Together we can work hard to change the minds of fur- using designers, and with that, stop the production of fur. I really hope you get a chance to interview her! I really like the concept of your blog. I too think we should stop the production of fur clothing. We are at a stage in the technology of fashion in which we can recreate the same warmth and texture of fur, so why should we kill animals? I love to see that other people are trying to make a change in this world! Skinning animals for FASHION is not fashion at all. If designers were creative enough they would ALL imitate and put their unique spins of the coats they are making instead of using real fur. It breaks my heart to hear about all the animal cruelty in this world, when it can be so easily avoided. Thank you for posting this!